Calendars to which you have been given an access by your colleagues, you will see in the column Shared with me. 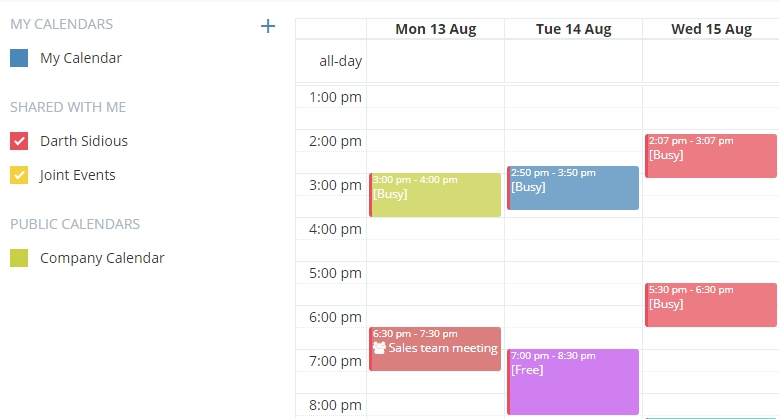 Thanks to this option, employees will be able to see each other's schedules and plan joint activities. Only you can share your calendar. The portal administrator does not have such right. 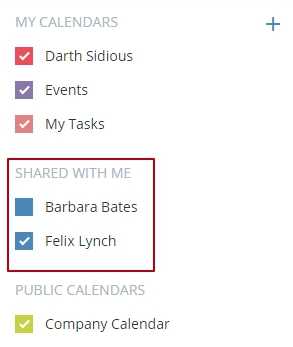 In the opened sidebar, add the users you want to share your calendar with and save. By default, they will be given a Viewing availability access level. Change the access level for each user if necessary. Viewing availability. Users with this access level to your calendar will see only the status of the event. Viewing the event names or descriptions will not be available. Viewing availability and names. At this access level, the employee will see your schedule and name of your events. The description and other information will be unavailable. Viewing. The event details, links to transactions, projects, accounts, and comments can be accessed. Changing any information is not available. Editing of calendar and events. 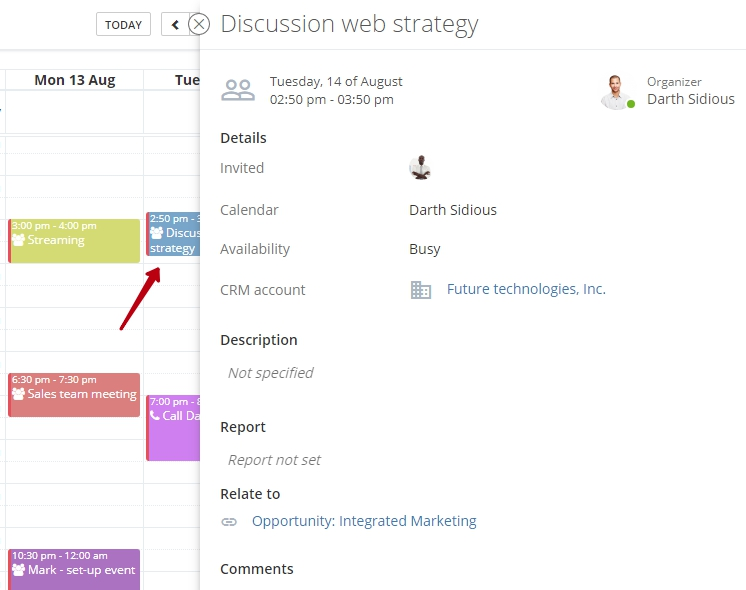 The user gets an access to the creation of new events and changing the schedule in your calendar. 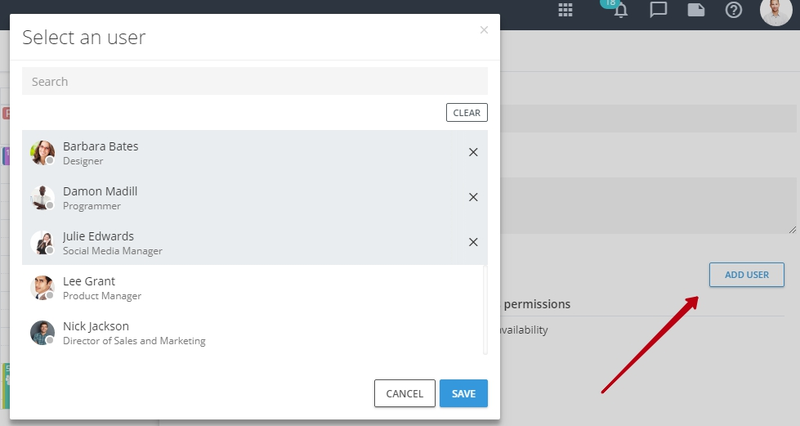 With full access, the user also can delete events from your calendar. 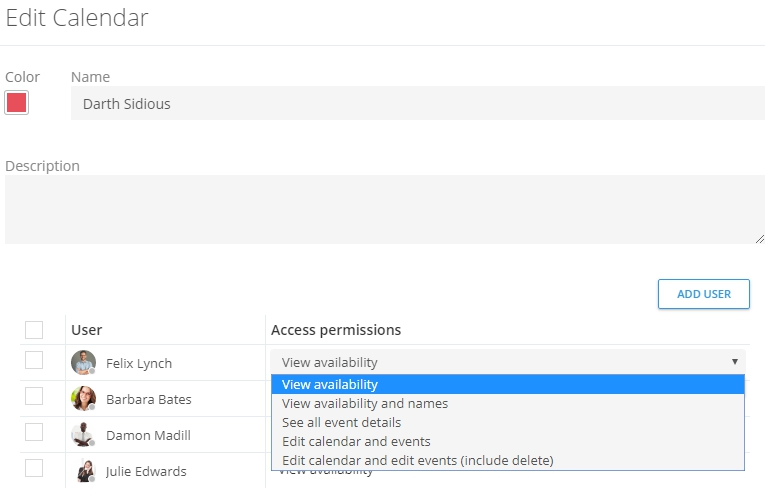 When creating an event in the calendar, you can further restrict or open access to viewing information in it. 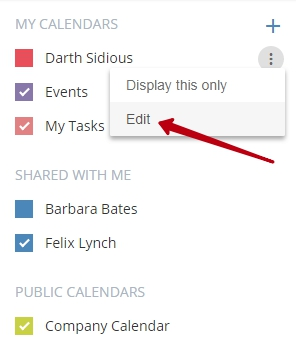 If you create a personal event, then only those users who have access level to this calendar not lower the editing one will be able to see it. If you create a public event, then its details will be visible to all users who have access to this calendar, regardless of the level of access.